Astronomers have discovered what appears to be the largest feature in the observable universe, and—according to the Big Bang model—it shouldn’t even exist. A team of Hungarian and U.S. astronomers say they have discovered a huge ring of nine gamma ray bursts (GRBs) that is five billion light years across. 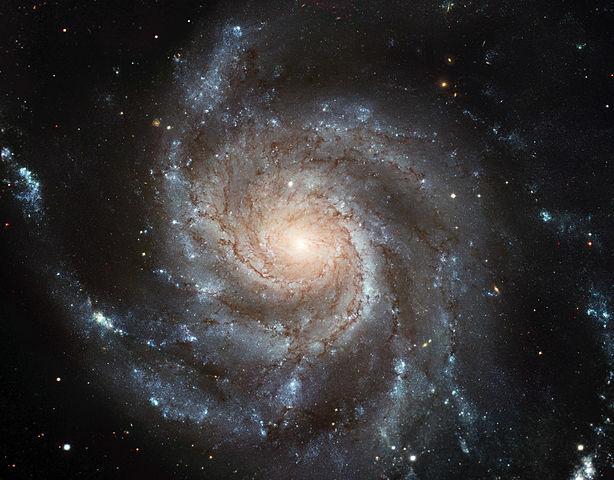 The scientists detailed their findings in Monthly Notices of the Royal Astronomical Society. GRBs are thought to be the result of massive stars collapsing into black holes. Because black holes are typically found inside galaxies, astronomers say the ring of GRBs is evidence of a gigantic galaxy ring. All nine of the GRBs described in the paper are located at a similar distance from Earth, so the astronomers believe they are all associated with each other. However, that association presents a significant problem for the current Big Bang model. The astronomers who discovered the galaxy ring acknowledged that its existence is “a clear contradiction” to the secular model of the universe’s beginnings. Dr. Jake Hebert, a physicist with the Institute for Creation Research, said this discovery could be devastating for the Big Bang model.